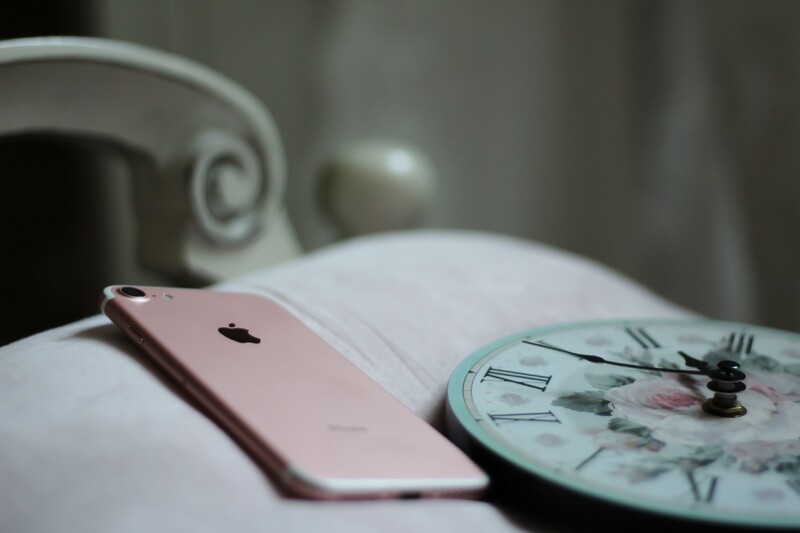 Is Technology Ruining Your Sleep? Time to unplug and recharge. Veronica Benton, Vitality Detective, Certified FDN-P, Functional Health Coach, Athlete, Author, mom and wife. Until 2014, I had no idea how much technology was interfering with my life. Sure, I always walked around with my smartphone. Had it with me during dinner time and because I ran several health coaching groups, I always made it a point to answer questions right away, research information and even answer personal messages immediately. I had NO boundaries when it came to technology. Then I noticed something happening. The quality of my sleep started to deteriorate. I wasn’t getting good rest. I was cranky most of the time. I felt tired, sleepy, unfocused. Lack of sleep made me more susceptible to infections as well. I knew I had to do something but I didn’t know exactly where to start. When I decided to look at exactly how many hours I was spending on my devices (including my Kindle, computer and smartphone), not to mention the times I was unable to sleep that I would just jump back on my smartphone, I realized that a lot of the time I was awake was spent with a device in hand. And it turns out, that this behavior had become a vicious cycle because that device was not my friend — it was the one causing the lack of sleep. It turns out that the blue light emitted by these devices messes up our internal clock. And according to a study published in Harvard University this blue light (even lights that dim) can have a negative impact in our sleep cycle because it interferes with melatonin secretion. 1- I took ALL my appliances out of the bedroom — including my smartphone. 2- I don’t allow a TV in my bedroom. 3- I began to unwind 2 hours before bed — meditating, gentle yoga, no TV. 4- I switched all my blue light (or white light) for yellow lights that dim. 5- I am mindful of what I eat and drink — no caffeine in the afternoon. 7- I take several walks during the day with natural sun light, which helps reset my internal clock. I have also implemented rules and boundaries at home — no phones during meal time or “family time”. We go out on hikes and spend more time outdoors exploring together, which is much healthier and better for us anyway. By implementing these seven simple steps, my sleep improved drastically in only a couple of weeks. If you or someone you love is having issues with sleeping, implementing these few changes might help. The best thing about implementing them is that not only will your sleep improve, but so will your relationships.